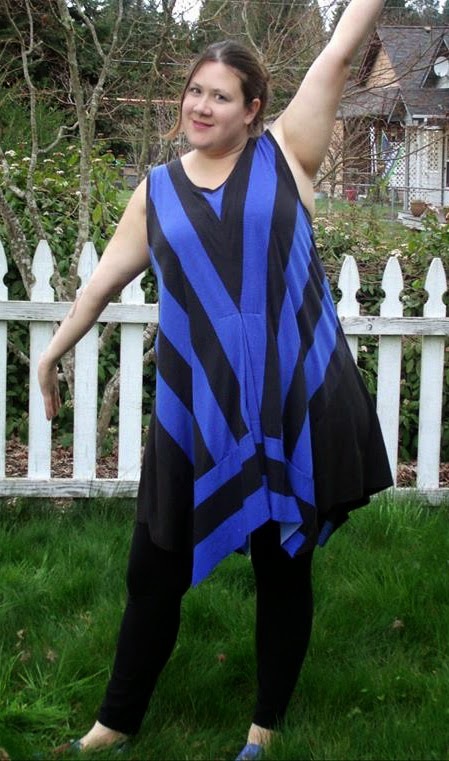 The Adeline Tunic is the third pattern I’ve added to my inventory. 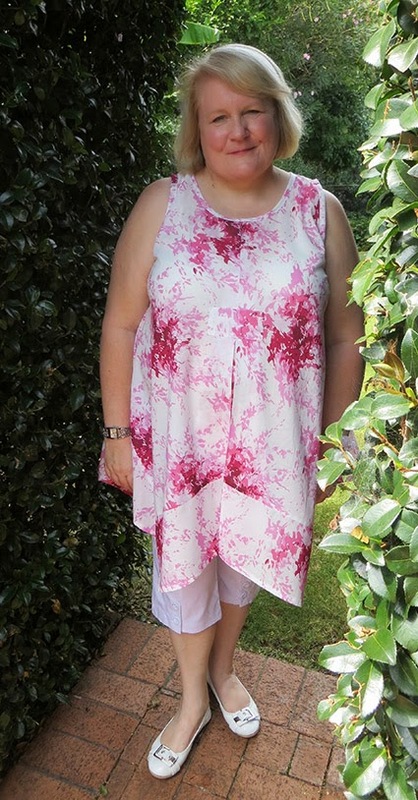 I love the versatility of layered dressing and this tunic is great for all seasons. 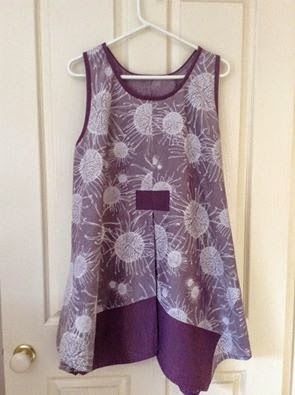 It can be made in lightweight natural fabric such as voile or handkerchief linen for hot weather or wovens and mid weight knits and worn over long sleeve tops for Winter. 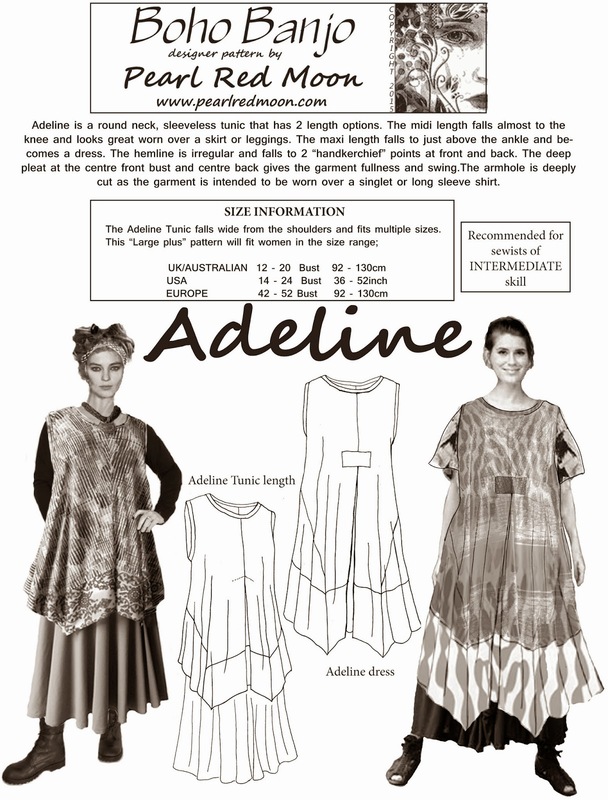 Adeline is a round neck sleeveless tunic with 2 length options. 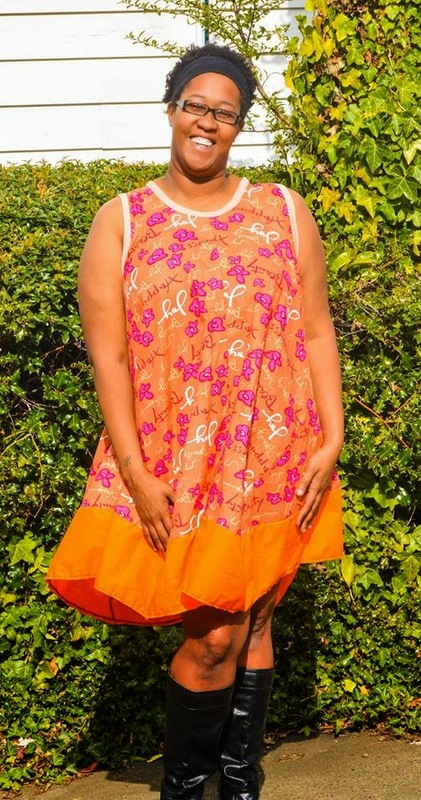 The midi length falls almost to the knee and the maxi is an ankle length dress (on average height woman 162cm or 5” 7”) The hemline is irregular and falls to 2 handkerchief points at the front and back. The deep pleat at the centre front and centre back gives the garment fullness and swing. The armhole is deeply cut as the garment is intended to be worn over a singlet or long sleeve top. Please enter my Rafflecopter giveaway by simply asking to be entered into the draw. I've only just begun to put my textile designs into the Kollabora shop. In the next week I should get about 20 designs listed. I had a wonderful group of testers help to get the design and instructions perfected for publication. Heres some of their pictures along with a link to their blog or Facebook page where you can read their reviews of Adeline.